I don't think I ever learned one of those little rhymes – My Very Educated Mother Just Served Us Nine Pizzas – to memorize the order of the planets, but if I had, it would've painted for me a minimalist picture of the solar system. (Side question: what is my Very Educated Mother serving now that we only have Dwarf Pizzas?) After all, much of the most exciting work in planetary science today happens not at the planets, but around them. Ask an astronomer where in the solar system she'd like to visit next and you're just as likely to hear Europa, Enceladus, Titan, or Triton as you are Venus, Mars, or Neptune. Our solar system hosts eight planets but nearly 200 known moons. And moons, it turns out, are just the start. We've detected more than a million asteroids; surely that's just a fraction of what's lurking beyond our limits of observation. Let's not even think about the billions, perhaps even trillions, of Kuiper belt and Oort cloud objects – we could be here all day! So, while the planets may dominate the solar system gravitationally, they are pitiful numerically. If there is one thing that the study of exoplanets has taught us in the last twenty years, it's that the Universe thrives on chance. Given enough planets (and there appear to be gazillions out there! ), practically anything can happen. Want a planet with a double sunset? We've got that, but perhaps you'd prefer one with three! How about a planet whose temperature is nearly half that of the surface of the Sun? No problem there. I can even offer you a planet ten times more massive than Jupiter, but nearly 20 times closer to its star than Mercury (probably not the best place for your first off-world vacation home…). The point is, with only a few thousand planets discovered, what we've seen already is astonishing. Imagine what those million asteroids could be hiding. In fact, asteroids might be the next great frontier in planetary science. Let's find out why. Suppose I ask you to think about the planet Saturn. What's the first thing that jumps to mind? Probably its rings. And, if you were paying attention around the time you learned one of those nifty rhymes, you might recall that Jupiter, Uranus, and Neptune also have rings. 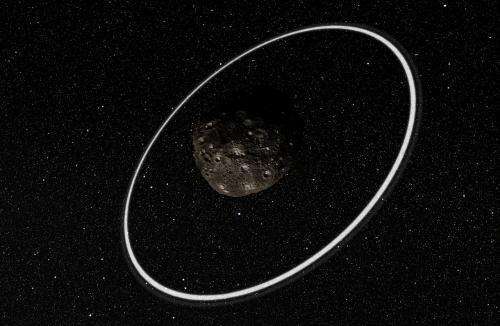 But, did you know that at least one asteroid is also home to ring system? Called Chariklo, it's the largest known of a family of asteroids trapped between the orbits of the outer planets. Early last year, astronomers reported the detection of a ring system about this 250-kilometer sized object. I say a ring system because there appear to be at least two distinct rings encircling Chariklo. Discovering this new system is more than just an additional data point. Perhaps the paramount question facing the field of planetary rings today is how they formed and how long they can last; the existence of rings around a tiny asteroid tells a very different story than that implied by the giant planets. Of course, rings haven't been the biggest planetary science story of the last decade (much to my chagrin as a rings researcher!). That honor might instead lie with geysers. The 2005 discovery of an enormous water plume emanating from the surface of Saturn's moon Enceladus changed the way we looked at the icy moons of the solar system. Eight years later, astronomers using Hubble claimed to have found a similar phenomenon at Jupiter's moon Europa (now they're not so sure). But geysers, too, might not be the sole province of planetary moons. Just last year, researchers with the Herschel Space Telescope found the first evidence for water vapor emanating from the surface of the enormous asteroid Ceres! There's more good news: unlike Europa, with it's off-in-the-future mission, the Dawn spacecraft is on its way to Ceres right now. it will arrive in just under two months and provide a close-up look at the second confirmed off-world geyser. Speaking of moons, it probably won't surprise you to learn that asteroids have those, too! In fact, the number of asteroids with known satellites is far too long to enumerate here. But, they are not merely numerous; the variety of asteroid moons seems to be nearly as large as the variety of asteroids themselves. Like with the planets, many asteroids dwarf their moons. Others, though, are more like binary systems in which both bodies are approximately the same size. And, although we generally know little about their shape, the variety in this realm also appears tremendous. Ultimately, though, it's not their number or their variety that might make asteroids the future of planetary science; the laws of physics are on their side. It's no accident that NASA intends to send astronauts to land on an asteroid long before they attempt to touch down on Mars. 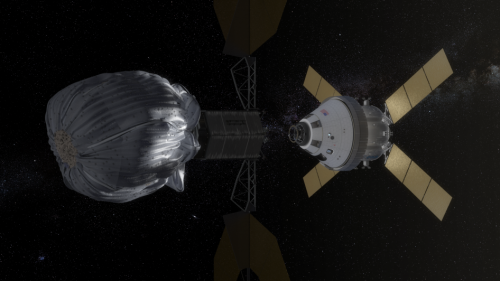 Neither is it a coincidence that at least three missions (Hayabusa, Hayabusa 2, and OSIRIS-REx) will have returned, or at least attempted to, samples from an asteroid to the Earth before NASA's ambitious plan to do the same at Mars. The gravitational tug on the surface of the Red Planet is more than thirteen times more powerful than that of even the largest asteroid. We're seeing this accessibility in action already. Hayabusa returned a sample of asteroid Itokawa back in 2010 and its successor is already on its way. And, remember Dawn on its way to Ceres? It turns out that wasn't its first stop. 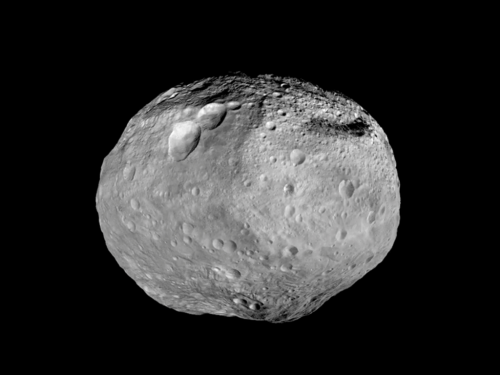 Before setting out for the solar system's largest asteroid, the mission spent fourteen months in orbit about the asteroid Vesta. When it arrives at Ceres in March, Dawn will become the first spacecraft in history to orbit two extraterrestrial bodies. Dawn is, I think, a signal of things to come. Asteroids, in general, and the main asteroid belt, in particular, offer the tantalizing opportunity to visit a variety of different worlds in one fell swoop. These are places that are closer to us, easier to approach, and just as scientifically interesting as the classical celestial worlds. Does this mean that the world's science agencies will or even should abandon the study of the planets? Of course not. No asteroid looks like the cloud tops of Jupiter or the methane lakes of Titan or the intense heat of Venus. I'm not at all trying to limit the worlds which we visit. Quite the opposite, in fact: we've suddenly found a million new places to go! True stuff, but somewhat preachy.